Because launching satellites into space can cost tens of thousands of dollars per pound, size and weight are the main objectives when designing connectors inside a satellite. 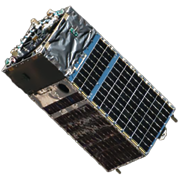 Smallsats have grown in popularity along with the growth of Nano-D connectors. In a standard satellite, standardized printed circuit boards are stacked and electrically interconnected. Nano-D connectors are chosen for these connections because of their versatile format and size. Retention screws are used to maintain signal integrity and long term mating in space, and Nano-D connectors use low outgassing materials that meet NASA specifications. Custom cable harnesses and flex circuits can be used to route signals between circuit boards. Radars are used to detect enemy missiles, objects in the atmosphere, and anything else of note happening in the sky. These instruments send out a pulse of radio waves, and determine the location of the object by watching what radio waves are reflected back. Traditional radars use a single beam of waves and measure the return waves by turning the main beam. Phased array radars, however, use an array of hundreds or thousands of beams to measure which waves are reflected back to Earth. This allows the user to be able to keep a constant eye on their target, rather than waiting for the main beam to turn. These hundreds or thousands of signals need to be connected, which requires many pin connections from the edge of the radar transmit card to the focal beam circuit. Nano-D connectors with high pin counts are often used on the edge of the circuit boards within a phased array radar due to their small size and high durability. 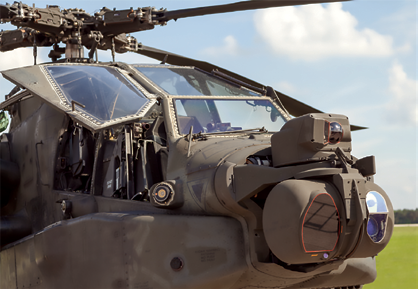 Similarly to phased array radars, LIDAR (Light Detection and Ranging) systems also use high pin count Nano-D connectors to transmit data. LIDAR systems are used on UAV’s, helicopters, and airplanes to survey the ground using lasers. The system sends pulses of light to determine the direction and distance from the ground below, giving the user a clear picture of the terrain. LIDAR is used to produce precise information about both natural and man-made environments, which is helpful in a wide variety of applications. To accomplish this, LIDAR instruments need circuit boards containing high-density connectors and small, flexible cabling. The Nano-D connector is optimized for this harsh environment. With a .025 inch pitch (0.635mm), Nano-D connectors are only ¼ the volume of a Micro-D connector, and have 80 percent less mass. Nano-D connectors are specified to MIL-DTL-32139. 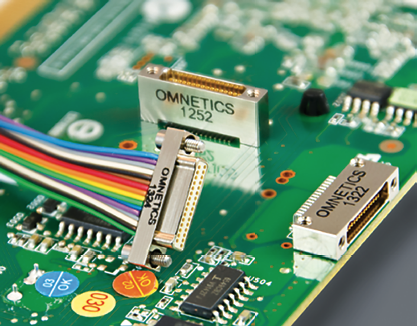 Omnetics connects the wires to the pins and sockets using high pressure crimping technology, eliminating the potential problems of soldered leads coming into the back of the connector. Externally, the metal shells are constructed of aluminum alloy and nickel plated. Internally, the insulators are molded from liquid crystal polymer, allowing the connector to perform within a wide temperature range: -50 degrees centigrade to +200 degrees centigrade. As instruments become smaller and their capabilities become greater, speed must increase as well. As signals are changing from analog to digital, circuit speeds are ramping above 2Gb/s and beyond 10Gb/s, and photon signal management is enhancing performance and protecting devices from cyber intrusion. When specified, cable signal speed capability and formats are designed to match the miniature Nano-d connectors. Designs available include IEEE 1394 fire-wire cable and expands to USB 3.1 formats and CAT-6a wiring. Higher speed data serial links can also be supported with smaller size cable and rugged Nano-connectors. Formats from USB 3.1, PCI Express 2.0/3.0, HDMI and others reaching up to 10 Gigabit Ethernet circuits are included. 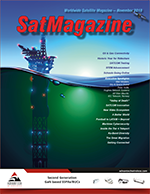 Co-author Bob Stanton is the Director of Technology at Omnetics Connector Corporation. Co-author Erica Mutch cmpleted a Bachelor of Science in Business focused in Marketing and Graphic Design at the University of Minnesota - Carlson School of Management. She then began her career in the connector and electronic manufacturing industries with Omnetics Connector Corporation. Her work includes editing and writing articles about connector news and trends, establishing editorial and advertising direction, and managing marketing campaigns.